We know fragrance is a pretty personal thing. In fact, it might be one of the hardest things every to write about objectively. With clothes, we can suggest a certain skirt that will match a particular body type and let you do the trial and error with ordering. When it comes to scents, an up-close-and-personal sort of situation is required to determine if their is chemistry. No, we don't mean the actual chemistry behind the scent, but rather the chemistry between you and the scent itself. With one spray, it's easy to determine if said fragrance is your perfect match. 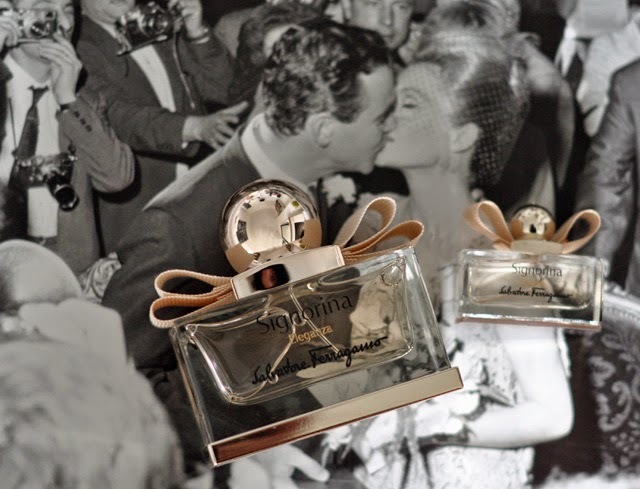 That fragrance becomes a part of your wardrobe that sometimes changes with the seasons, but never goes out of style. With that in mind, we'd like to introduce you to a brand new scent statement for spring summer 2014. When I was in Abu Dhabi last month for the DFS Fragrance Masters launch, I had the chance to smell dozens of fragrances from some of the leading houses around the world. To say the experience was overwhelming would have been the understatement of the year. However, there was one scent that truly stuck out of from the pack and I've been cheekily spraying myself liberally every morning with said fragrance. 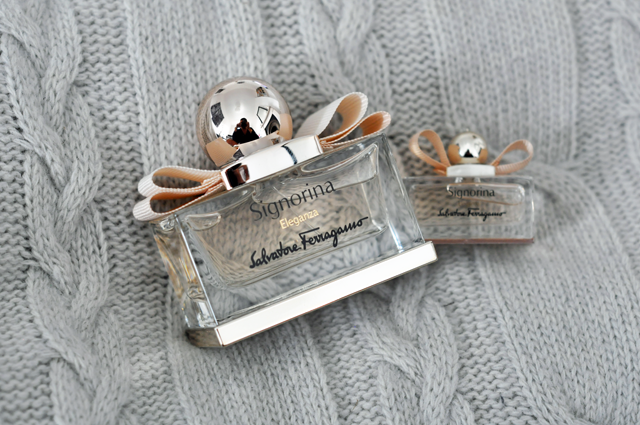 I'm speaking of Salvatore Ferragamo's Signorina Eleganza. The new fragrance was just launched in March of this year and has already received rave reviews from the fragrance critics around the world. Now, I'm no expert when it comes to putting a scent together, and never will be. 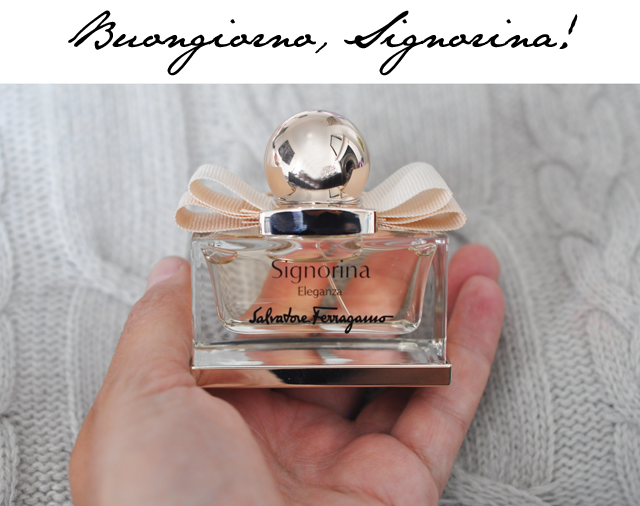 But I did have some time to talk to the experts in Abu Dhabi about the Signorina Eleganza fragrance and they all seemed mightily impressed by what the style house had created, from a technical standpoint. Created by Sophie Labbe, the scent has head notes of grapefruit and pear, a heart of almond powder and golden osmanthus with base notes of patchouli and white leather. In plain english, I think the best way to describe it is by saying it's an elegant and sophisticated floral fragrance that is truly "stand out from the crowd" special. So as a suggestion, next time you're passing the fragrance section while shopping, stop in for a spritz. We can't guarantee it's a perfect fit but I can tell you I've received numerous compliments over the past few weeks while wearing this delicious Salvatore Ferragamo creation.